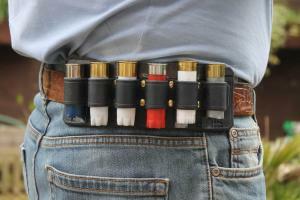 Sturdy leather belt slide converts a standard belt into a cartridge belt. 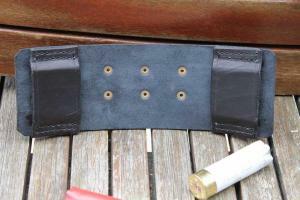 Hand made from 2mm and 3mm thick cowhide. 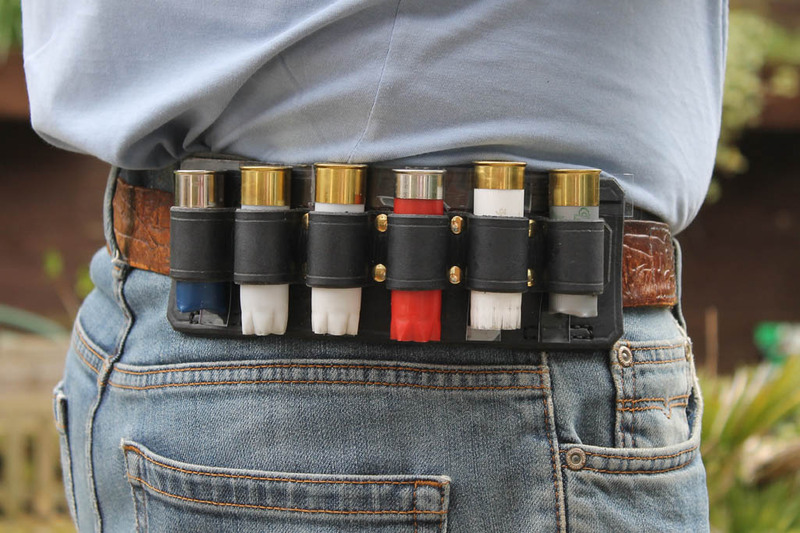 Designed to hold six 12 gauge shotgun cartridges and slide onto belts up to 1.5" wide. 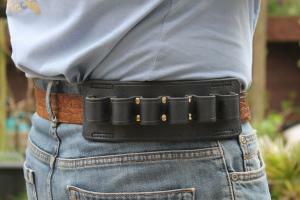 Two leather belt loops are molded and stitched onto the back making it easy to slide onto a conventional belt. 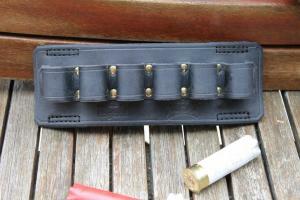 The cartridge loops have been riveted and molded for a snug fit. Width: 1 1/2" - 4cm.